The most powerful typhoon to hit China in a half century killed 104 people and left at least 190 missing Friday after it blacked out cities and smashed more than 50,000 houses in the southeast part of the country. Typhoon Saomai formed in the western Pacific on August 4, 2006, as a tropical depression. Within a day, it had become organized enough to be classified as a tropical storm and earn a name: Saomai, which is the Vietnamese name for the planet Venus. The storm continued to gather strength, becoming a typhoon on August 6. 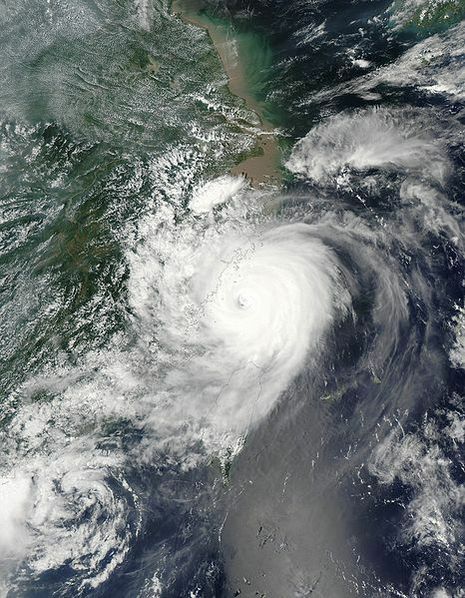 As of August 10, it was poised to strike mainland China as a Category 4 super typhoon, making it the eighth storm to come ashore in China in 2006, according to the Xinhua News Agency. 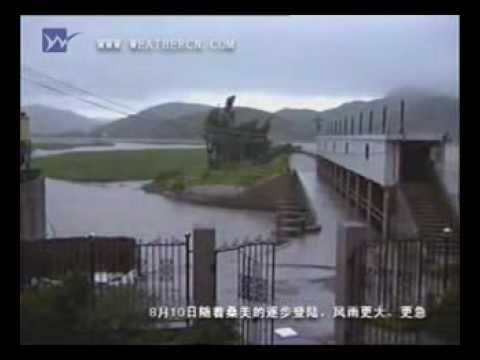 China's most powerful storm in 50 years, Typhoon Saomai, has left at least 104 people dead, officials say. The typhoon, which has now been downgraded to a tropical storm, was continuing to batter coastal regions with heavy rain and winds. More than a million people were evacuated from their homes to temporary shelters before its arrival. 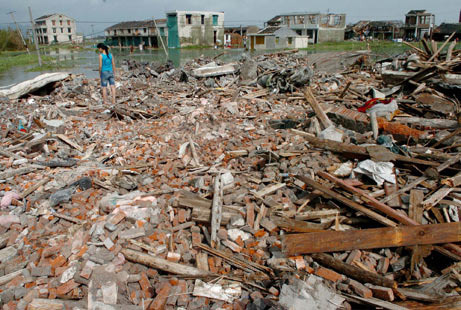 Official media said that more than 50,000 houses had been destroyed in the storm. 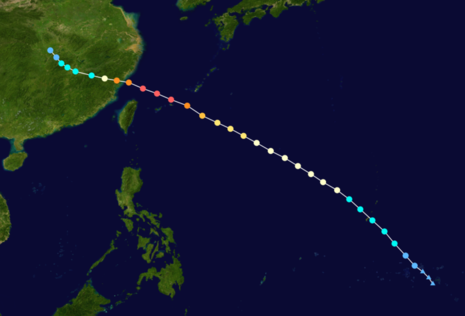 Typhoon Saomai (international designation: 0608, JTWC designation: 08W, designated Typhoon Juan by PAGASA and sometimes called Super Typhoon Saomai) was a powerful typhoon that affected areas of Taiwan and the east coast of the People's Republic of China. It was the eighth tropical storm, fifth typhoon, and third super typhoon of the 2006 Pacific typhoon season recognized by the Joint Typhoon Warning Center. According to the Japan Meteorological Agency, Saomai was the seventh tropical storm and fifth typhoon of the season. The name "Saomai" was submitted by Vietnam, and is from the Vietnamese word for "morning star" (sao Mai), a reference to the planet Venus.